When Jim Julian flipped the switch, cranking up a small remote-controlled helicopter on the deck of a Navy destroyer, he became a part of history that stretches to the increasing use of drones in today’s military. Shortly after graduating in 1958 as an engineer from Rensselaer Polytechnic Institute in Troy, N.Y., Julian was a newly commissioned ensign. That’s when he was tapped to be the controller of a mini- helicopter equipped with torpedoes used to attack enemy subs. The U.S. Navy had just begun to use the Gyrodyne QH-50 DASH, which was the first rotary-wing unmanned aerial vehicle to enter military service. The chopper was flown from a converted World War II “Fletcher Class” destroyer. Julian had been working on the avionics for the project, so it was natural he was chosen to fly it. “I controlled the drone helicopter from the deck of the USS Hazelwood (DD-531). 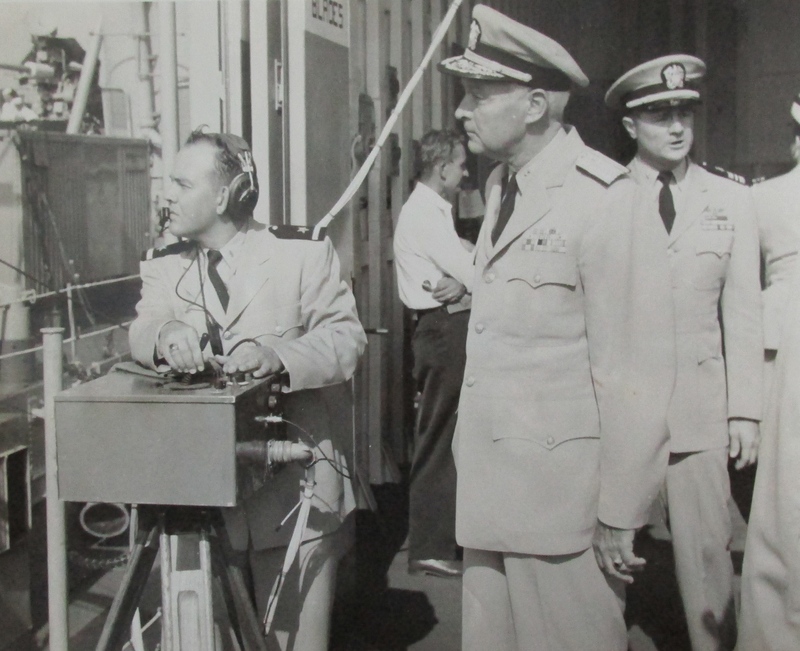 We had the first drone flown from a heliport on the stern of the destroyer,” Julian said more than 50 years later. The helicopter would take off from the pad and start toward the target. “I’d flip the switch on the deck control box and lock the chopper into hover mode. Then I’d go down to the information center below deck and turn on a box down there I could also control the helicopter from. I’d fly the helicopter watching the radar below deck. Julian was in the peace time navy. He never took on the Soviet submarine fleet at sea. Ironically, he was a couple of days from discharge after his three year hitch in the Navy when the crew of the Hazelwood made contact with what they believed was a Russian sub off Key West. “The ‘Hazelwood’ was on its way to the Gasparilla Festival in Tampa when it rounded Key West and got a contact on its sonar. Because they spent three days following the unidentified sonar contact the crew of the ‘Hazelwood’ missed the Gasparilla Celebration in Tampa. “Probably the most significant thing that happened to me during the three years I was in the Navy happened when the Commander of the Atlantic Fleet came to New Port, R.I., where our ship was based, to check out the progress we were making with our drone helicopter,” he said. “Everything was fine until a helicopter was sent from Quonset Point, R.I. to pick the admiral up at dockside where our destroyer was moored,” Julian said. “The helicopter was in the process of landing on our flight deck when it got into trouble, rolled over on its side and got stuck between our ship and the pier. “Four of us were standing right there at the hangar deck watching the helicopter land when the accident happened. 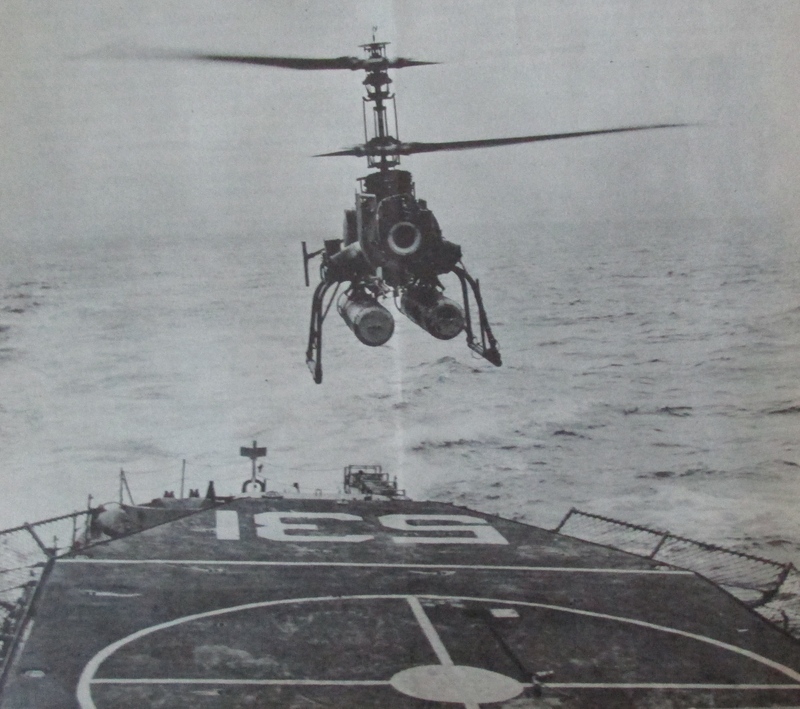 It flipped over on its side, then the rotor blades hit the deck and exploded. “All of us standing there watching hit the ground in a hurry as chunks of rotor blade flew by. The guy next to me was hit in the neck by a piece of rotor blade and was killed. “He was lying flat on his face when I got up. I checked his pulse and all I found was a bit of a flutter. The guy on the other side of me was sitting on a tool box and his head was covered in blood. At first I thought the helicopter blade had decapitated him. “When I looked a little closer at him I realized the blade had only scalped him. His scalp was hanging down in front of his face. He reached down, flipped his hair back up on his head, went down to the sickbay and had it sewed back on. On another occasion one of the Hazelwood’s crew was badly injured. The skipper wanted to use the drone to fly the injured sailor to the hospital. Problem was, the weather was socked in by fog and the copter pilot wasn’t instrument certified so he couldn’t fly in fog. “I flew the helicopter by remote control while the pilot sat at the controls but touched nothing. I got the injured sailor to the New Port Hospital without further incident,” Julian said proudly. Probably the most terrifying time the young naval officer experienced during his time at sea was when the Hazelwood sailed between two Atlantic hurricanes. “We went to sea for 14 days with the carrier USS Lake Champlain when a couple of hurricanes came along. We sailed south between both hurricanes and that was a heck of a ride,” he recalled. “During the storms we rolled 48 degrees. We had to strap ourselves into our bunks. The next day our 400-long destroyer was riding precariously in those massive waves. When our stern was in the peak of the crest the bow was in the trough. “The most fun I had in the Navy was when we were sailing back to Newport aboard the Hazelwood. I was on the bridge commanding the ship at that time. The sea was glassy and we were steaming toward the outer harbor marker when our destroyer was suddenly surrounded by sharks,” Julian said. “I called the captain and told him he might want to come topside and take a look. He did and then he called for the chief gunner’s mate and told him to get an M-1 rifle and a bandolier of ammunition up here. 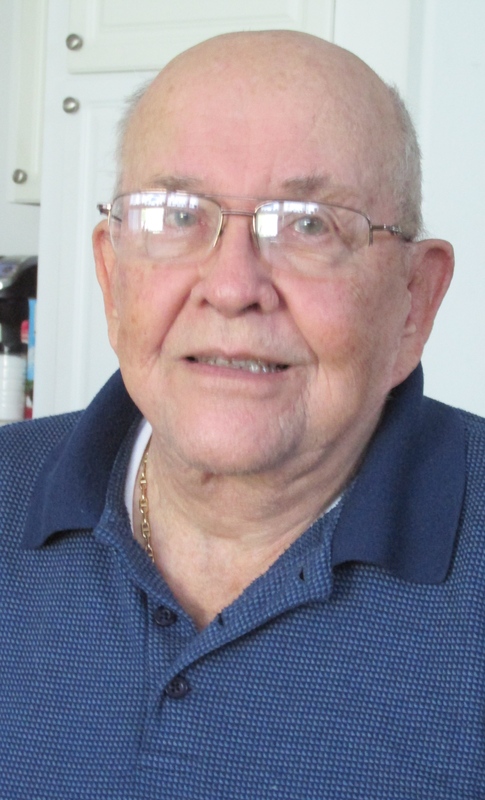 After getting out of the Navy in the early 1960s he went to work as an industrial engineer at Fort Brunswick Bowling Pen Corp. Three years later he joined the staff of Rubber Maid Corp. A decade later he went to work with Porter Paints and retired 15 years later. He and his wife, Carol, moved to this area 20 years ago. They had two grown children: Joy and Rob. Rob was killed in a motorcycle accident nine years ago. This story was first published in the Charlotte Sun newspaper, Port Charlotte, Fla. on # and is republished with permission. Click here to view Julian’s collection in the Library of Congress. I remember your name but not the face in your current photo. I was an ET on the Hazelwood for 2 years until my discharge in March of 1963. Later,when the Hazelwood joined the Reserve fleet, I had the privlege of serving on Reserve weekends while a student in Boston. It was a formative part of my life.